Are your kids looking for new things to try this summer? 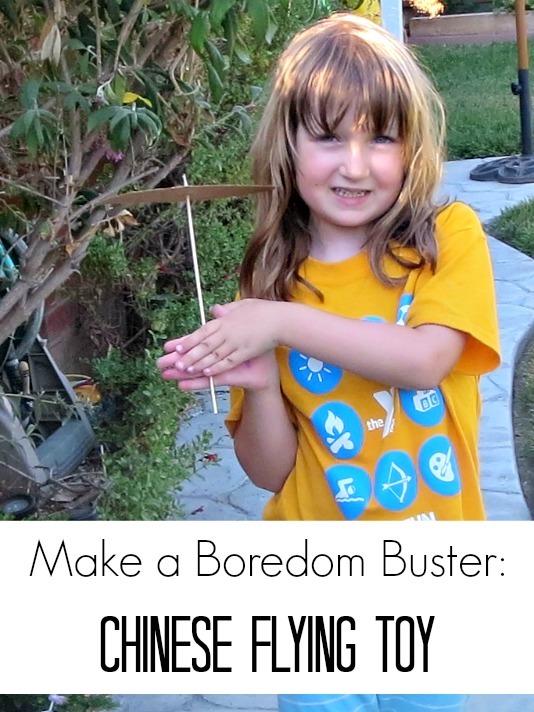 This simple toy can be an excellent boredom buster and get your kids outside as well. We are traveling virtually to China this summer with a big bucket list of activities. Making toys was not on our original list, but I discovered a wonderful blog Marie’s Pastiche who is undertaking a year-long virtual trip to China with her family. She gave excellent instructions for creating a copter-like toy out of cardboard and a skewer. They were easy enough for my 6 year old to follow mostly independently and make her own toy. Step 1: Trace the propeller template on the cardboard and cut it out while complaining all the while that this is too hard. Step 2: This is where you can sneak some math, since the kids will need to find the center of the propeller to put a skewer in. Smarty had a good idea to draw and measure the line between two ends and mark a half point. She got lost when she measured about 7 and 3/4 inches. My suggestions to use centimeters fell on deaf ears, so she approximated the middle at 4 inches. Step 3: Decorate! As usual, my daughter tried to “get it over with” as quickly as possible. Step 4: Put a skewer through a center and fix it with hot glue. This step is not pictured as I was supervising and helping with a skewer. Step 5: Go out and play. Launching didn’t work for either of us on the first try, but Smarty didn’t give up and kept trying. She was very proud of herself when she was able to produce a graceful rotating fall. Now I have to figure out the place to launch it from the higher point. I am also thinking of making another dragonfly with a lighter cardboard and comparing the two in a mini-experiment. Have you made toys with your kids? What kind? Off to check out the blog you mentioned. What a neat craft! I'll have to check out Almost Unschoolers version as well. This looks like fun! We have to try it. 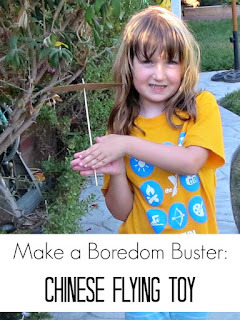 Sounds like a fun activity and a fun toy! Thank you for sharing at Sharing Saturday!! How fun! I saw the blog post on Marie's Pastiche as well, so it is fun to see someone else try it. We will have to give it a go when my sons are a bit older! Thanks for sharing at the Culture Swapper!